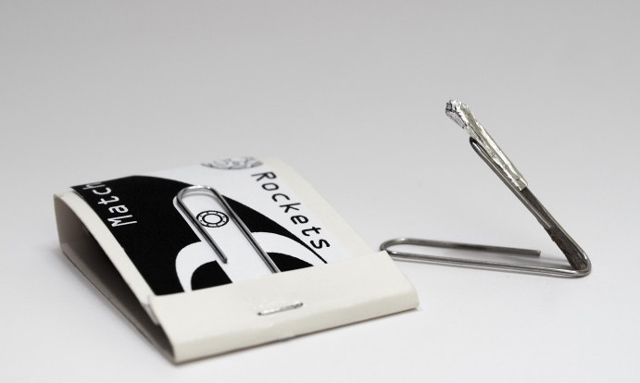 Steve Hoefer of Grathio Labs explains in this video how to make Match Rockets, tiny homemade rockets built out of matchbooks. For this “playing with matches” project, he uses stuff generally found around the house: matches, aluminum foil and paper clips. A full tutorial is available at his site if you’d like to try this at home.